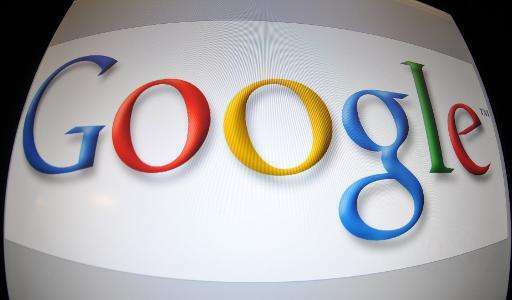 The EU on Wednesday formally charged US Internet giant Google with abusing its search engine's dominance and launched a sensitive probe into its omnipresent Android mobile phone operating system. On the first count, the Commission said it had sent a formal "Statement of Objections" to Google, charging it with "systematically favouring its own comparison shopping product in its general search results pages." "The Commission's preliminary view is that such conduct infringes EU anti-trust rules because it stifles competition and harms consumers." If found at fault under EU anti-trust rules, a company faces a fine of up to 10 percent of its annual sales—in Google's case, $66 billion in 2014. The Commission said it would continue to examine three other areas of concern—copying of rivals' web content, exclusive advertising regimes and undue restrictions on advertisers—which were identified in probes dating back to 2010. 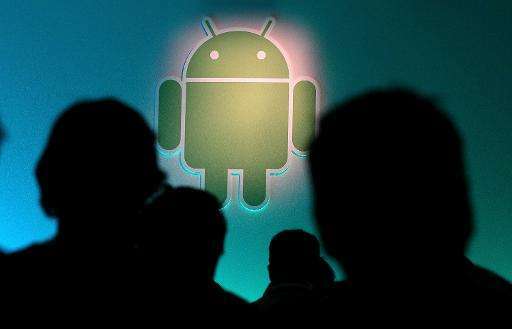 In a potentially hugely important development, it also announced a separate investigation into Google's Android system which dominates the global mobile phone market. "The investigation will focus on whether Google has entered into anti-competitive agreements or abused a possible dominant position in the field of operating systems, applications and services for smart mobile devices," the statement said. EU Competition Commissioner Margrethe Vestager said Android was hugely important and it was vital it be open to all. "Smartphones, tablets and similar devices play an increasing role in many people's daily lives and I want to make sure the markets in this area can flourish without anti-competitive constraints imposed by any company," she said. Google accounts for about 90 percent of the EU search market and now has 10 weeks to reply on the search count. 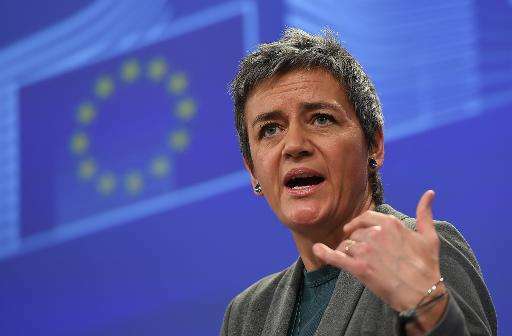 Vestager told a press conference that the door remained open to an amicable settlement and she called on Google to take every opportunity to discuss the issues with Brussels. In two blog posts in response, Google said that in search, there was in fact "more choice than ever before." "While Google may be the most used search engine, people can now find and access information in numerous different ways—and allegations of harm, for consumers and competitors, have proved to be wide of the mark." The company said its Android system had been a key driver of innovation and had benefited others, not hindered them. "We look forward to discussing these issues in more detail with the European Commission over the months ahead," the post said. Competitors who feel they have been harmed by Google's behaviour welcomed the decision. "The Commission's actions are significant steps toward ending Google's anti-competitive practices which have harmed innovation and consumer choice," industry group FairSearch said. "Google's abuses have devastated rivals, from mapping to video search to product price comparison," said the group, which counts Microsoft, Nokia and Tripadvisor as members. Microsoft, which the Commission has fined more than 2.0 billion euros in a series of competition cases, separately said "every company needs to obey the same legal rules of the road." Vestager leaves later Wednesday for the United States where the EU investigation into Google has become politically sensitive as the 28-nation bloc negotiates a massive trade liberalisation accord with Washington. US critics say the EU is being selective in targeting Google and significantly, the US Free Trade Commission dropped its own probe of the company in 2013, saying it had done enough to meet complaints. The European Commission, which polices EU competition policy, launched an initial investigation into Google in 2010 following complaints from rivals such as Microsoft and Trip Advisor that it favoured its own companies when customers ran searches. Vestager's predecessor, Joaquin Almunia, made three attempts to resolve the dispute but in each case intense pressure by national governments, rivals and privacy advocates scuppered the effort. With the issue turning into a lightning rod for critics in Europe on a wide range of issues from the EU-US trade talks to privacy, the European Parliament voted overwhelmingly in November that search engines be separated from their commercial services businesses. In a statement ahead of the vote, the US mission to the EU "noted with concern" the parliament's resolution and urged that the case against Google "not be politicised". Apparently mindful of such concerns, Vestager said she felt it was "a great responsibility for me to handle these cases. This is an investigation based on facts." so, now, having such a good product, so well established in it's superiority, and free to the public is now a market abuse...? deal with frivolous lawsuits against tech startups first. This is one of the more blatant fine-for-revenue examples I can note. a company is not allowed to prioritize it's own services..? in the USA, not prioritizing your company towards maximum profit is essentially illegal for a CEO. android is freeware. Extremely efficient and complex freeware. With frequent updates and bugfixes, and an ever expanding pool of software available for it. If incentivising your product to the point where it'd be financially irresponsible to stray or attempt to emulate is a market violation, I don't want any part of that market.